Army list supplement book for the WW2 game Bolt Action. Following the assault on Pearl Harbor, the Imperial Japanese military saw action across Asia, from the capture and defence of the islands of the Pacific to the occupation of territory in China and Burma. 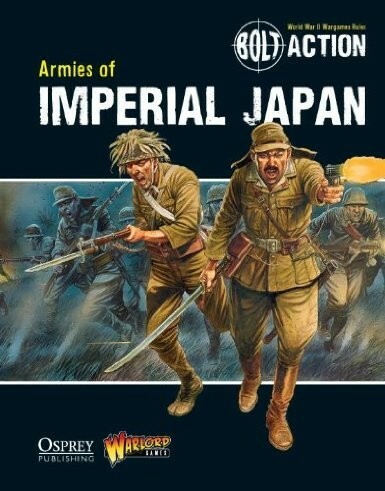 With this latest supplement for Bolt Action, players have all the information they need to build a force of the Emperor’s fanatically loyal troops and campaign through some of the most brutal battles of the war.